CoolSculpting® is designed to target areas of the body where fat cells are accumulated and stored (i.e. abdomen, waist, thighs, and buttocks). Excess fat deposits in these “problem areas” are often resistant to reduction through healthy lifestyle changes and can produce misshapen body contours, unsightly bulges, and the dreaded “love handles” or “muffin tops.” Unlike many heat-based technologies, CoolSculpting® is fueled by an innovative process known as cryolipolysis,™ which involves the cooling and breaking down of fat cells within persistent fatty deposits. After the fat cells have been frozen, they are gently reduced through the body’s natural metabolic process without damaging the outer layers of the skin (epidermis) or the adjacent tissues. This minimizes post-treatment healing time and allows patients to resume their normal activities immediately after treatment. Many patients turn to CoolSculpting when they aren’t a good candidate for liposuction because the treatment area is so small or if they only need to lose an inch or two. If you already live a relatively healthy lifestyle but those extra inches just won’t budge, contouring your body with a non-invasive fat reduction procedure can help! 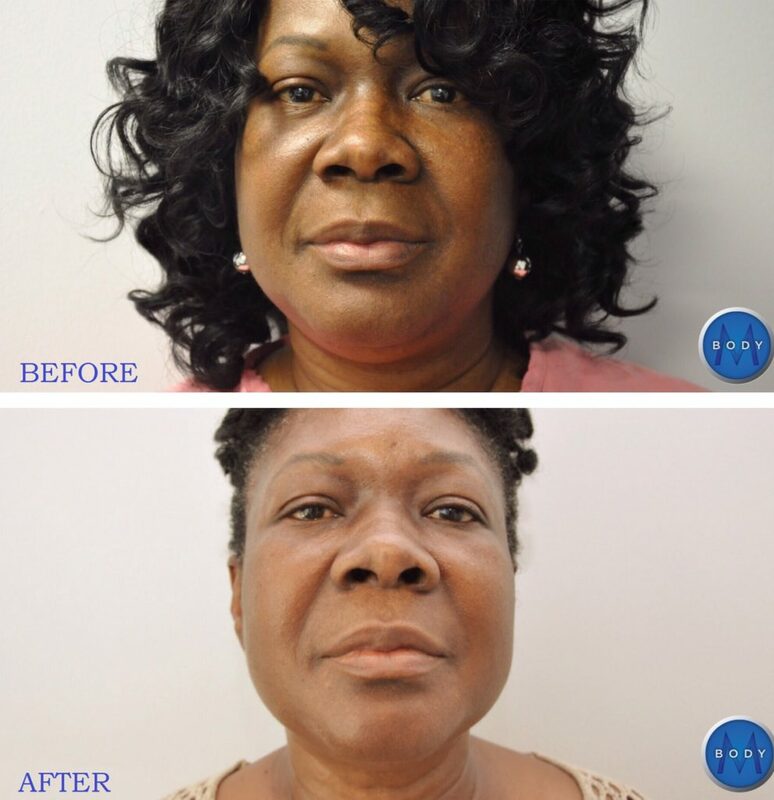 Your custom-tailored CoolSculpting® session should take no more than one hour, will not require any anesthesia, and will be performed in the comfort of either of our two pristine MBody practice facilities (Vienna and Richmond, VA). Most patients use their pain-free CoolSculpting® session time to relax, read, listen to music, or watch a movie. CoolSculpting is an effective fat-reduction technique; however, some patients require a significant amount of fat removal and skin tightening that can only be achieved through surgical means. 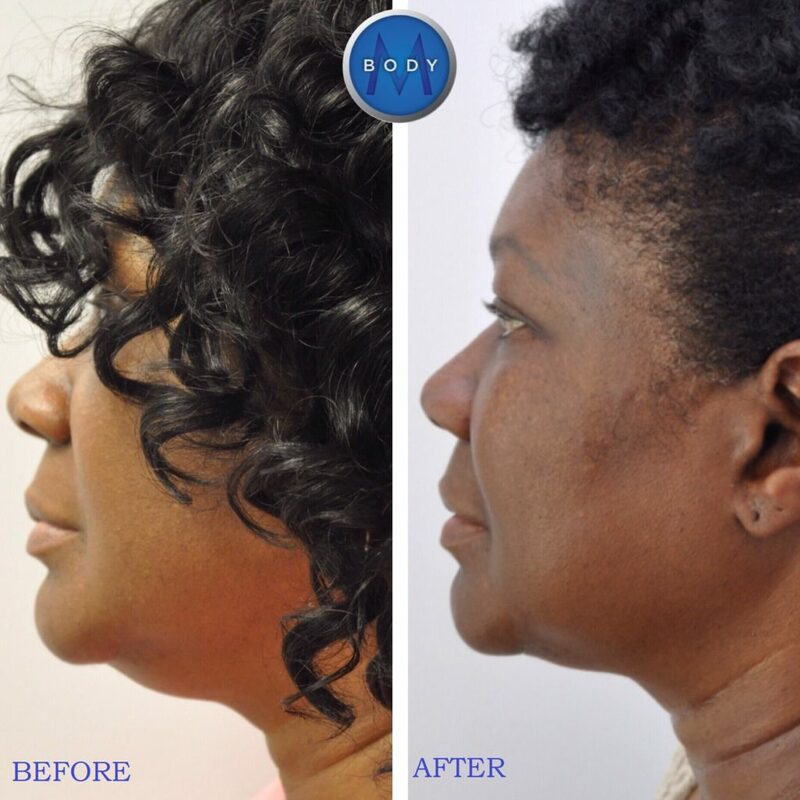 Fortunately, at MBody, we have two Board certified (ABPS) plastic surgeons available to provide helpful consultations as to the best surgical, non-surgical, or combination of surgical and non-invasive procedures. The CoolSculpting CoolSmooth applicator is also now a non-surgical solution for fat reduction specifically targeting the outer thighs, known as the “saddle bag” area. In a recent clinical study 86% of patients noticed visible fat reduction in their outer thighs after just one CoolSmooth treatment, and 86% of patients were satisfied with their results. ** Check-out more information on CoolSmooth here. DISCLAIMER: Weight loss is never permanent, and CoolSculpting® is NOT intended as a weight loss mechanism. This procedure removes fat cells from the body, but the remaining fat cells can continue to grow and expand. To maintain long-term results, be sure to maintain a stable weight and adhere to a healthy diet and exercise routine.